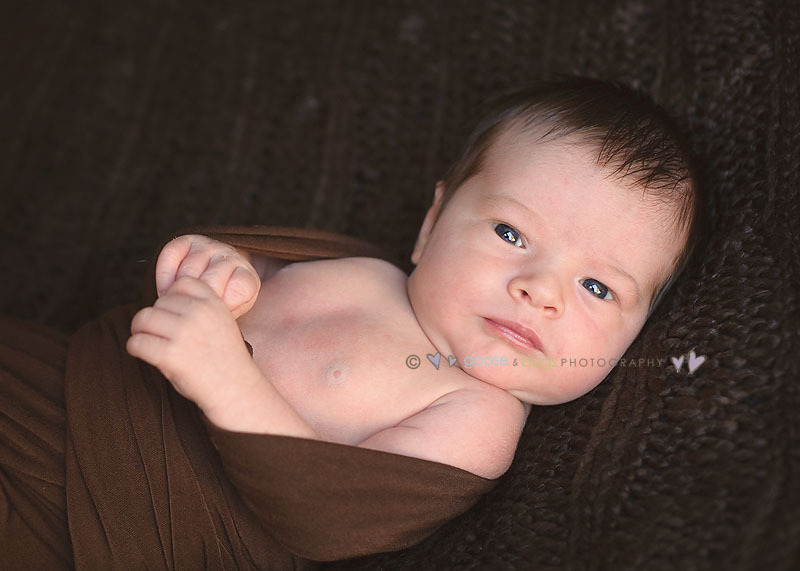 Willow Glen newborn photographer • mr handsome | gooseandbugsphotography newborn baby and child PhotographyCustom children's photography, specializing in newborn portraiture, on location in San Jose, Ca and the surrounding Bay Area. This little guy was wide awake for me when we got started. Although it is usually ideal for babies to be sleepy for a newborn session, it was a treat to get a few shots of his beautiful big blue eyes. This little guy is going to be a heart breaker. A big thank you to his mom and dad for having me over to capture their handsome baby boy. 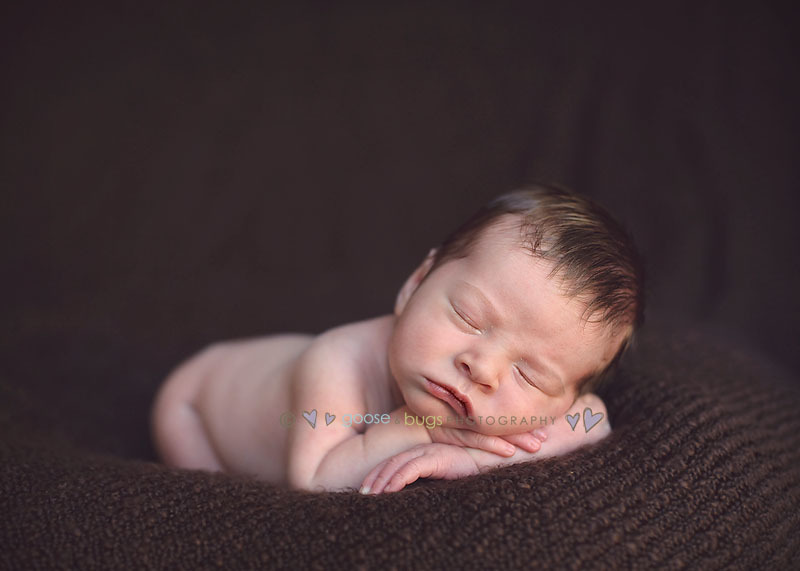 This entry was posted in Uncategorized and tagged baby photographer, bay area newborn photographer, bay area photographer, children, newborn, newborn photographer, san jose baby photographer, san jose newborn photographer, san jose photographer, willow glen newborn, willow glen photographer | Bookmark the permalink. Ahh! I love all of these! That last one with the baseball and his hand – precious!!! I LOVE the shot of him in the baseball glove; how quickly we forget that they were ever this small. Great eye on the photographer. Precious!! He is just adorable & that hair is amazing! So creative! 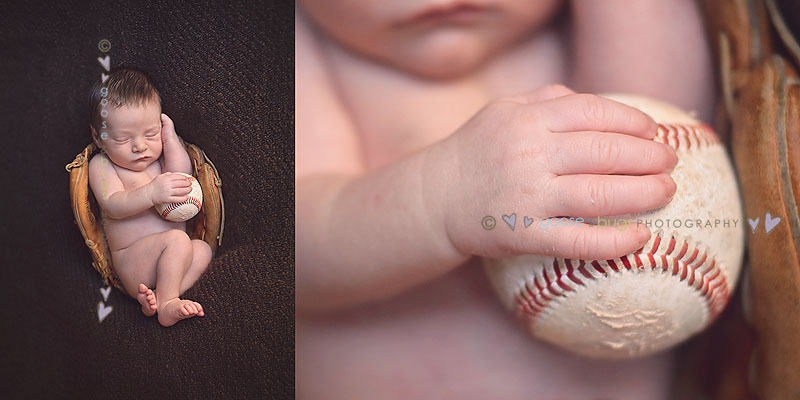 I love how you incorporated the baseball and glove- love them! adorable! love the one with the baseball – perfection!